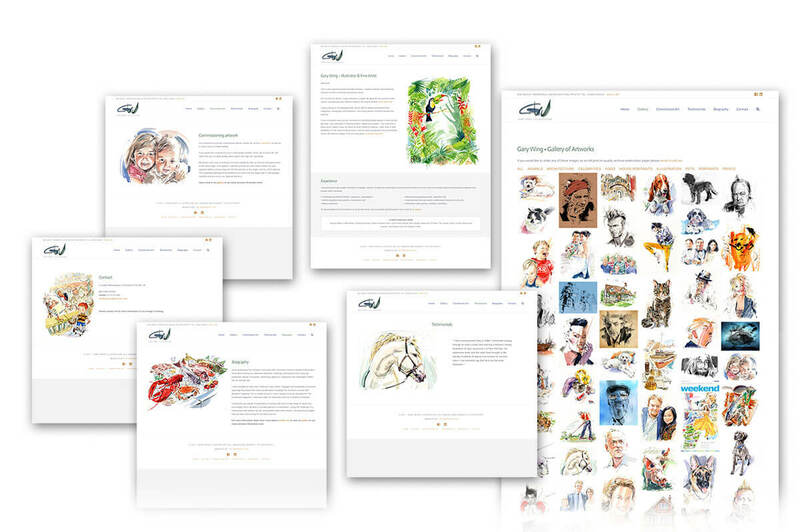 Versatile and very talented illustrator producing original, hand-rendered artworks. Gary updated his longstanding html site to WordPress to make the site responsive and allow him to manage his gallery himself. These are some of the great companies and software we use to create and host this website. Some are affiliate links, please feel free to use them. Data subjects, being all visitors and users of any website who are members of the European Union, and therefore who submit personal data. KC Graphics Ltd is the data processor and data controller of this site. You can find out more about this law here. KC Graphics Ltd is the company who collects any personal data submitted through kcgraphics.co.uk. Information is saved until the enquiry is dealt with, and then archived with the project or on cloud based systems if you are an ongoing client. We also retain your contact details and information in the emails you have sent, but you can request to have your personal details deleted at any time. We will not sell, distribute, or lease your personal information to third parties unless we have your express permission, or are required by law to do so. We may use your personal information to send you relevant information about services we offer, or information you need as part of the services we offer. KC Graphics Ltd will NEVER pass on your personal data to third parties without first getting your explicit consent. If you believe that any information we are holding on you is incorrect or incomplete, please write to, or email us as soon as possible: karen @ kcgraphics.co.uk. We will promptly correct any information. If you are browsing in Private/Incognito mode cookies will not be saved. Your preferences will not be retained, and you will see the consent popup every time you revisit this site. The following Cookies are being used on this site, you can manage them here.